Based on the Phantom Drophead CoupAi?? and Phantom CoupAi? ?, this edition was limited to just 50 units. The special edition was fitted with day-touring features like a refrigerated glass box in the tail gate, complete with champagne flutes. Besides, it came filled with Easter eggs referencing bits of Rolls-Royce history ai??i?? such as metal pieces from the Phantom Assembly line at Goodwood, encased in a laser-engraved aluminium box. fragrances, watches and jewellery. Bespoke features on the inside included a customised clock on the dashboard, reclining seats with calf and foot rests, picnic table backs, and smoked chestnut veneers. Diamond motifs on the clock and on the embroidery on the central seat flutes add to the exclusivity of this 25-unit edition. Washed in a mother-of-pearl body colour, the Phantom Serenityai??i? ?s interior was lined with smoked cherry wood and fine silk upholstery bearing red and white Japanese floral motifs. Hand-applied rubies laid in the clock face on the dashboard and Arctic White leather further established the luxury appeal of this edition. 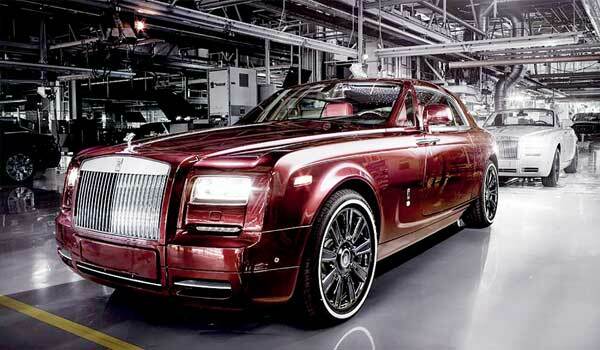 The exterior was said to be hand-polished by craftsmen at Rolls-Royceai??i? ?s Goodwood plant for 12 hours.